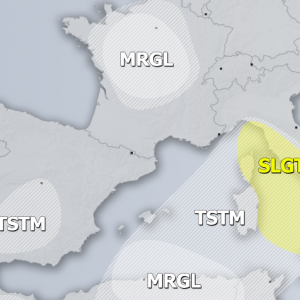 An upper trough with two cold fronts moves from western towards central Europe, the upper ridge over Mediterranean is pushed towards S Balkans. 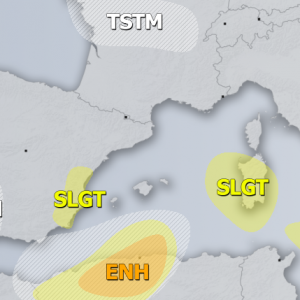 The weak upper low over SE Mediterranean finally ejects towards Middle East. 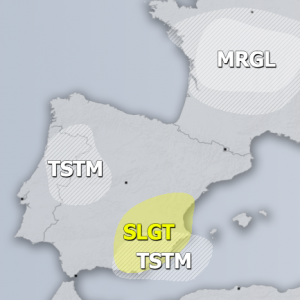 Several TSTM areas with storms expected across Europe on Friday, while a TSTM+ area is placed over SW Alps with some excessive rainfall threat possible.